Come see, touch, play & learn about the Living Instruments at the Oto Project Space all day. Members of We Spoke and Hackuarium are happy to be your guides to these exciting new instruments. The exhibition is suitable for all ages. 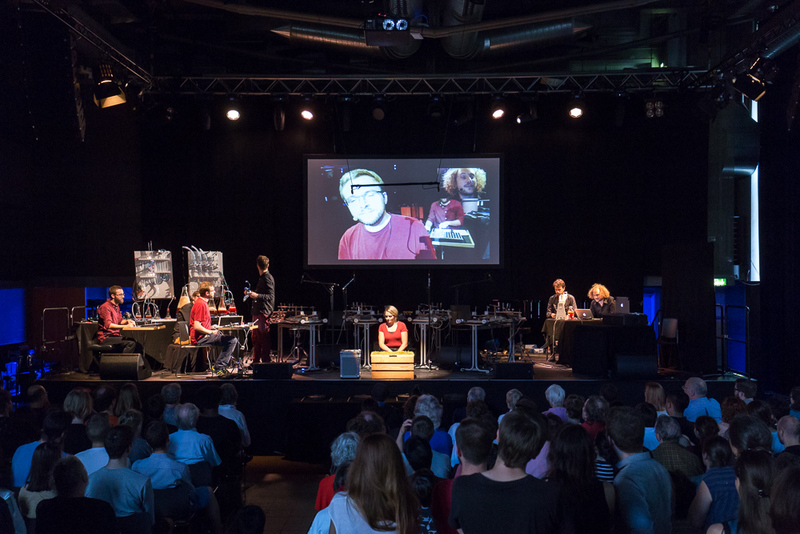 Living Instruments was produced jointly by We Spoke New Music Ensemble and three members of the Hackuarium community. 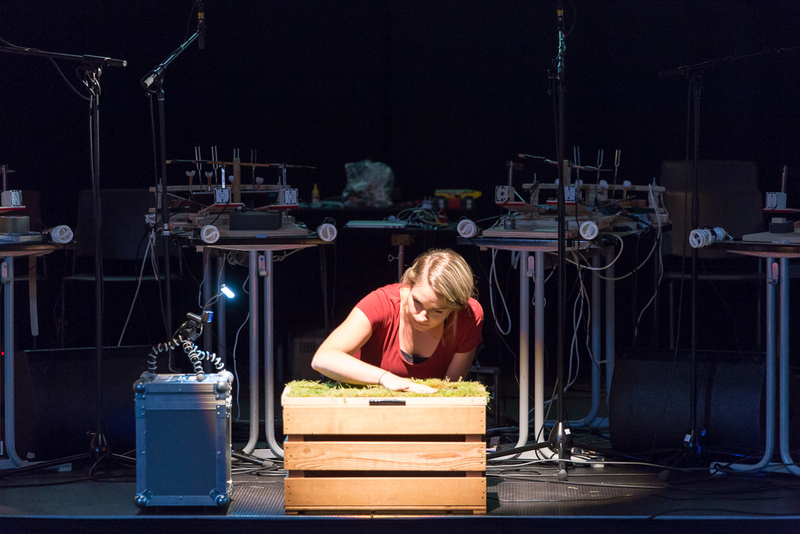 With Living Instruments, performers stimulate pieces of nature like micro-organisms to generate sounds, for example by applying heat and movement, watching paramecia through a microscope, touching moss or playing with the proximity of slightly radioactive everyday objects. Sensors are placed at several locations to measure activity of the organisms and objects. The recorded data is then turned into sound through synthesizers. The nature of these instruments allows the performers to en gage with them very interactively and the cyclic behaviour a of the living pieces is reflected musically with rich grooves and rhythmic patterns. 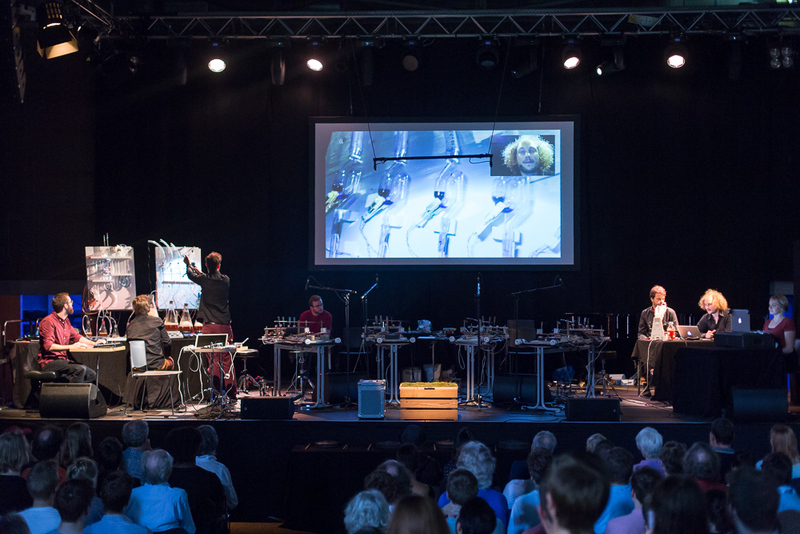 Enlarged video footage of the movement of fermentation bubbles, paramecia, moss, visualised traces of radioactivity and other curiosities of nature are displayed on a large screen behind performers, highlighting the common dynamics between the scientific process and the musical outcome. 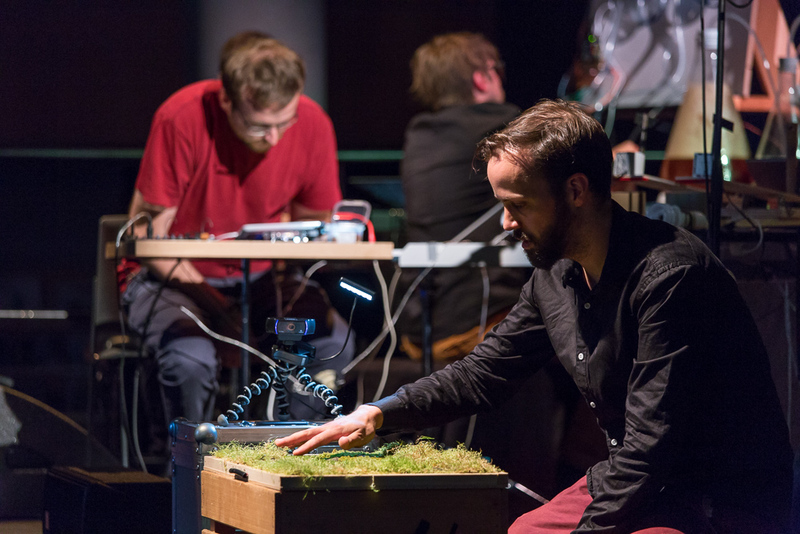 Living Instruments reveals a hidden world, encourages interdisciplinary thinking and presents biology, electronics and their relation to sounds as an ethereal and fun experience. 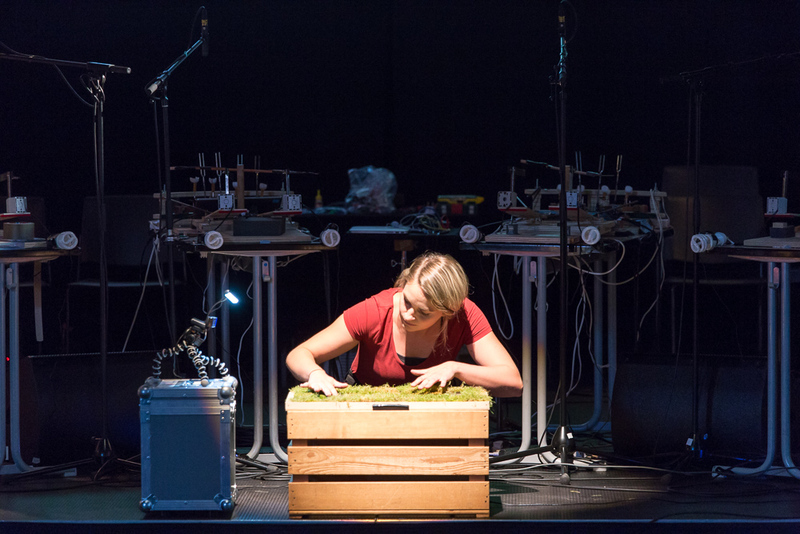 The performers slip into the roles of experimental scientists forming a hybrid setup where the interaction between humans and other living matter generates music. 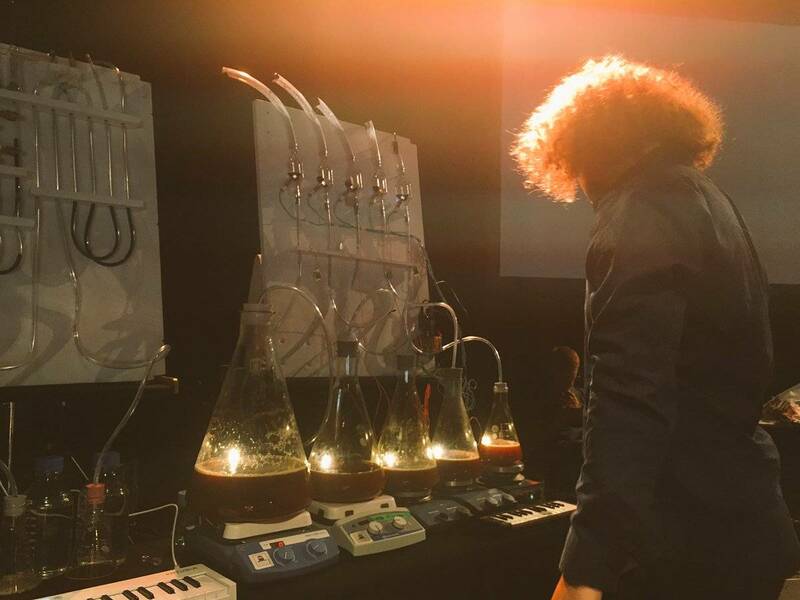 We Spoke presents Living Instruments, an ensemble of musical instruments based on micro-organisms such as paramecia, built in Hackuarium by a team including classically trained musicians and professional and hobbyist scientists, and used for musical performance and public learning. 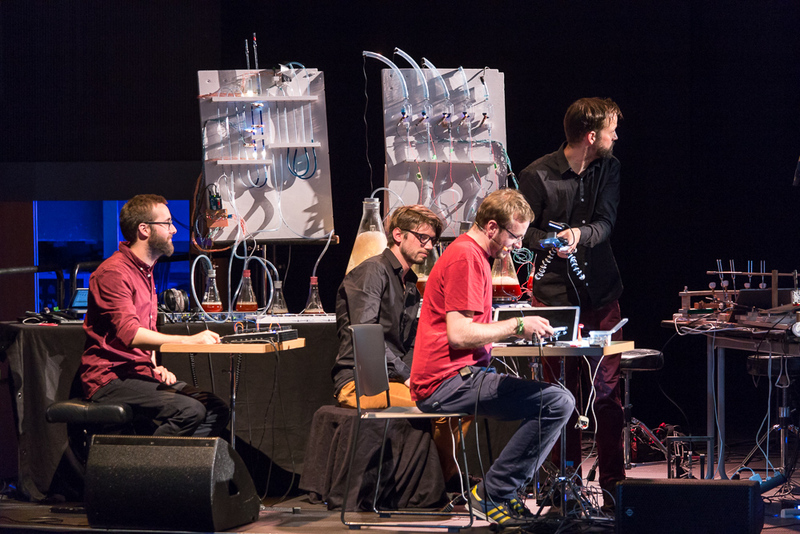 This is Living Instruments’ UK premiere after their world premiere in 2016 at Le Bourg, Lausanne, and their appearance at the 2016 International Summer Course for New Music in Darmstadt.